Night Vision Binoculars. See it all... Far, Far Away. 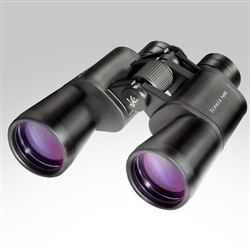 These high performance binoculars are specifically geared for skywatching. With superior optical and mechanical quality compared to other brands these binoculars are top of class. These are the same prisms found in binoculars that sell for four times the price or more than our affordable Scenix model. You just can’t beat Scenix binoculars for all-around value and performance. Common, low-priced "mass market" binoculars have to cut corners by coating only one or two visible optical surfaces with antireflection coatings (and leaving many uncoated), by allowing looser tolerances on optical matching and alignment, and by employing poor-quality mechanical components. Orion Scenix binoculars are refreshingly different. Every single air-to-glass surface of each binocular is antireflection coated, and the objective lenses are even multi-coated for additional light transmission and bright pleasing views. Orion doesn’t use gimmicky "ruby" coatings like you find on some binocular brands, which only serve to turn images an unnatural shade of green! This Orion Scenix 7x50 binocular is wonderful for binocular astronomy as well as for scenic daytime viewing and hunting. Its bright 7mm exit pupil and 7.1° field of view let you enjoy scenic vistas in comfort. The 7x50 Scenix binocular weighs 28 oz. for easy portability. 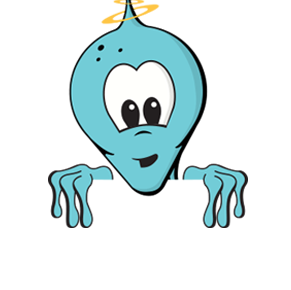 Its housing is constructed of sturdy metal, not plastic, and is armored with protective rubber which is a joy to grip. The large center focusing mechanism is the same one found on many more expensive binoculars, and adjusts smoothly to achieve ideal focus. 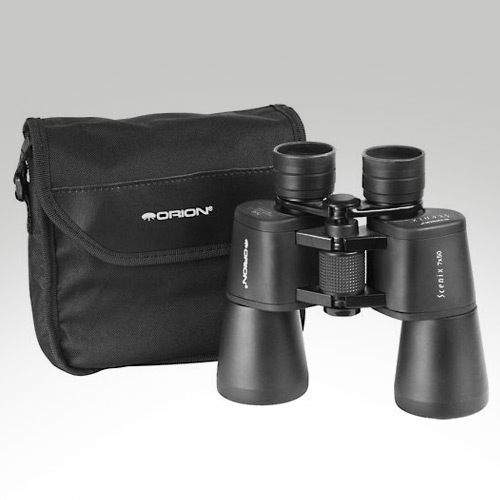 This 7x50 Orion Scenix binocular is rugged and reliable, delivering sharp images on demand. It includes a vinyl carrying case, lens caps, and a comfortable deluxe wide neck strap. The Scenix 7x50 binocular accepts a tripod L-adapter (sold separately) for use on a tripod, which is recommended for lengthy astronomical viewing sessions.